In 2014, travelers spent more than $265 million in tourism-related businesses in Clark and Floyd Counties. 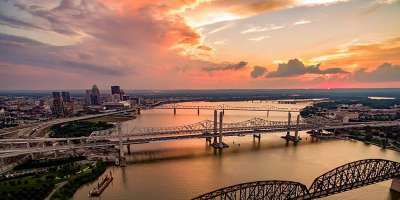 This spending accounts for monies spent on hotels, food and beverage, recreation and entertainment, retail, and transportation. Promotes a Healthy Job Market: About 6% of all jobs in Clark-Floyd Counties are supported by tourism. In addition to the hotel and restaurant industry, tourism directly supports jobs in professional & business services, health & social services, and finance & insurance. Contributes to the Health of the Public Education System: revenue collected from tourism in Clark-Floyd Counties is sufficient to support 3,679 Indiana public school students. Plays a Significant Role in the Counties’ Industrial Make-up: tourism is the 6th largest industry (5th not including Government) in Clark and Floyd counties (by jobs). Provides Tax Revenue to Support Federal, State & Local Government: In addition to hotel occupancy levies ($1.3 million in 2014), Clark-Floyd tourism activity generated over $500,000 in Indiana corporate taxes, $2.6 million in Indiana personal income tax, and nearly $11.9 million in local property taxes during 2014. Helps Relieve the tax burden for Clark-Floyd Counties Households: If Clark-Floyd tourism did not exist, each of the counties’ 73,727 households would have to pay an additional $477 per year in taxes to maintain current state and local tax levels. Keeps Money in the Local Economy: 79¢ of every dollar spent in economic impact by visitors in Clark-Floyd counties is returned to the local area. The Clark-Floyd Counties Convention & Tourism Bureau participated in a study spearheaded by the Indiana Office of Tourism Development (IOTD). 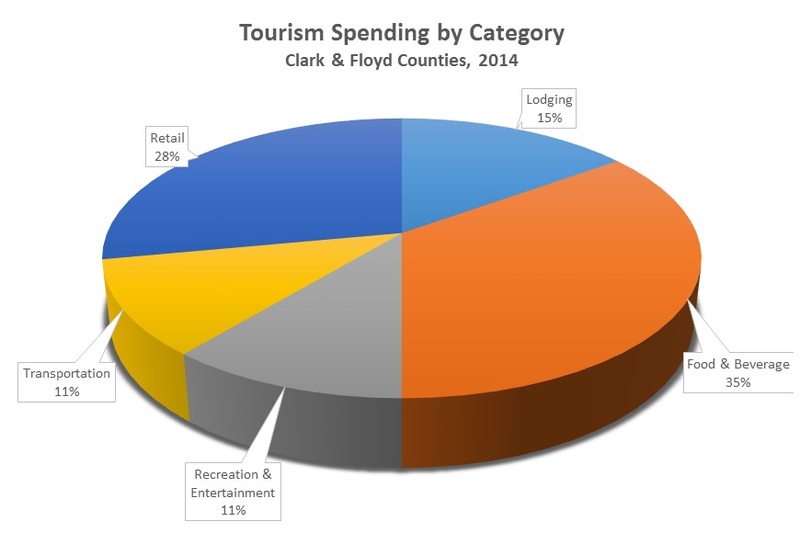 The study, 2014 Economic Impact Study of Tourism in Clark-Floyd, was conducted by Rockport Analytics, an independent market and economic research firm.